The Burroughs B5500 was an innovative, third-generation architecture, employing parallelism and multiple I/O processors, allowing many operations to occur simultaneously. For the first time in a commercial machine, it introduced several key concepts in computer architecture, such as virtual memory, stack-based addressing, and multiprogramming. It ran such programming languages as Algol and COBOL and was popular in financial institutions such as banks. 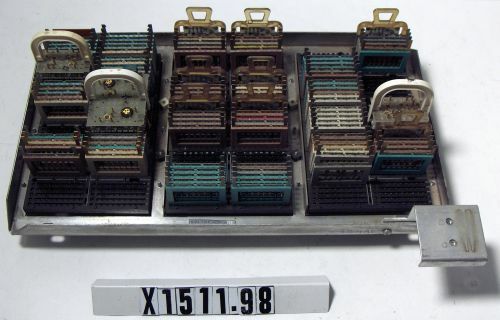 Assembly included a backplane containing pluggable transistor-based modules. Sticker with text: "DIAL TWX ADPT MII."